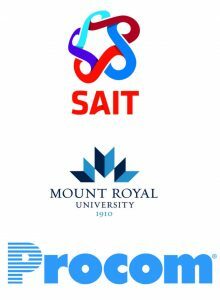 The Project Management Institute Southern Alberta Chapter (PMI-SAC) is an excellent sponsorship investment opportunity for companies looking to demonstrate their commitment to the project management profession and looking to connect with both project managers and the project management community. Getting involved and supporting the project management community. Heighten awareness / recognition / visibility of your company and brand in the PM community. Connect with project managers and key decisions makers and influencers in the project management community. Build stronger ties between your organization, the PM community, and PMI. Highlight your company’s position as a significant player in the marketplace and a trusted, reliable business partner. We have many options available to help you achieve any of these goals and we welcome the opportunity to discuss potential sponsorship with you. Our benefit packages can be customized to meet your company’s specific goals, objectives, and sponsorship preferences. We would like to acknowledge and thank the following members of our Chapter who contribute extensively to our organization in planning and executing our Sponsorship program.